Three-year-old Madyson began suffering seizures and hallucinations in early October after coming off of the prescription anti-psychotic drug Risperdal, which was being used to treat a history of seizures. 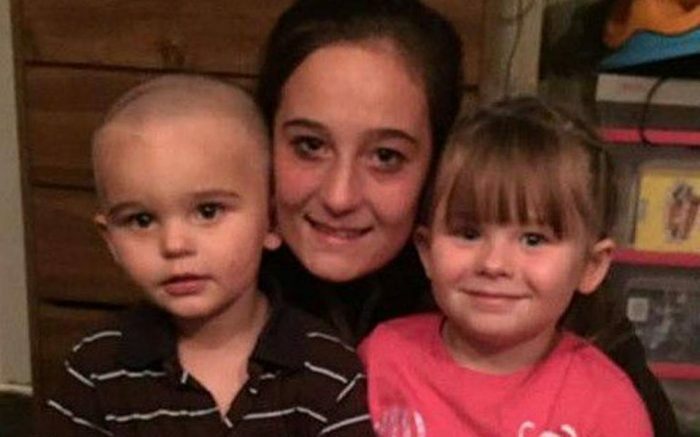 In an attempt to soothe her seizures, Osborne made her daughter a smoothie containing 1 tablespoon marijuana butter. Thirty minutes later, Madyson’s seizures went away, according to Osborne. A few hours later, Osborne took the girl to the doctor, where she tested positive for marijuana, and the Department of Health and Welfare (DHW) was called. On November 3, Osborne and the Idaho Moms for Marijuana group rallied at outside the DHW in Boise, urging marijuana reform. Idaho is the only state from the surrounding states in which all forms of marijuana use, medical or otherwise, are illegal. Just 34 children with severe epilepsy have any access to marijuana-based treatment, in the form of an experimental treatment program in Boise that utilizes cannabidiol oil (CBD). “The [CBD] they use for epilepsy doesn’t have THC, it doesn’t appear to have any kind of brain development issues. 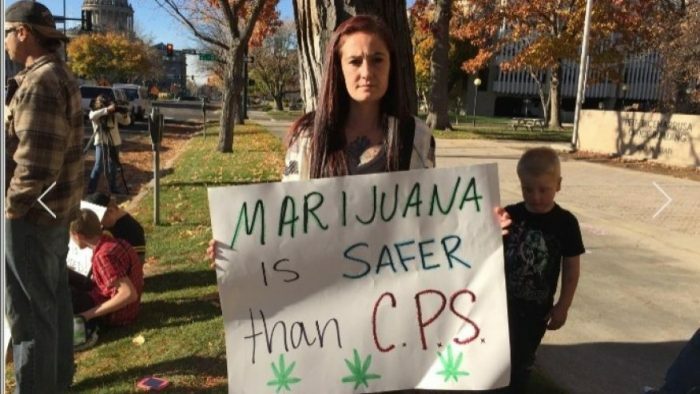 Recreational marijuana does cause that so it’s not safe for these children. In 2012, Johnson & Johnson (J&J), the maker of Risperdal, agreed to pay a $1 billion fine to the U.S. government and most states over its marketing of Risperdal for unapproved uses. Risperdal is not approved by the U.S. Food and Drug Administration (FDA) for use in children under 5. The medication can cause severe side effects, including heart rhythm problems and kidney failure. Ironically, 1 of the warnings on the Risperdal label is that the drug can actually cause epileptic seizures. In studies, risperidone has been shown to shrink the brain. Which is more dangerous – cannabis or Risperdal? Which is the bigger crime – giving a kid a tablespoon of cannabis butter in a smoothie, or prescribing an ongoing course of frighteningly dangerous prescription drugs for a use not even approved of by the FDA? What causes more brain damage – Risperdal or THC?